Hmong Traditional Song are unique and varies in many ways. The traditional songs course will be coming soon. Music is an essential part of Hmong life. Hmong musical instruments include the jew’s harp and various flute-like instruments. 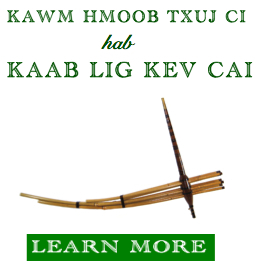 The most important instrument is the reed pipe or qeej: Where there are Hmong, there is the qeej. The instrument is played for entertainment, for welcoming guests, and at funeral rites. A Hmong person who wants to be a qeej player must be trained; it takes years of practice to memorize the flowery language of the instrument. 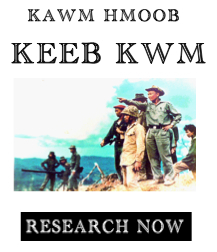 Its music contains the entire repertoire of Hmong knowledge and wisdom. Hmong culture is rich in oral literature. Through various forms of songs, poetry, and recitation, the Hmong pass down their stories, beliefs, history, and moral values from one generation to the next. Many of the Hmong Folk stories tell about an orphan who, although harassed and discriminated against by others, never gave up. He worked day and night, and through self-discipline and perseverance, he eventually became a man and a king. The orphan in the story can stand as a symbol for the Hmong people themselves—orphans without their own country who survive wherever they go. During the Hmong New Year celebration, the Hmong ball tossing game pov pob is a common activity for adolescents. Boys and girls form two separate lines in pairs that are directly facing one another. Girls can ball toss with other girls or boys, but boys cannot ball toss with other boys. It is also taboo to toss the ball to someone of the same clan. The pairs toss a cloth ball back and forth, until one member drops the ball. If a player drops or misses the ball, an ornament or item is given to the opposite player in the pair. Ornaments are recovered by singing love songs (hais kwv txhiaj) to the opposite player. But in recent times, in such areas as China, the young lovers have been seen to carry tape players to play their favorite love songs for one another. Traditional Hmong marriage involves elaborate preparation, a symbolic ceremony, and huge banquets. Depending upon the affluence of the families involved, the wedding can last anywhere from one to three days. Gift exchange between the two families, as well as elegant food preparation, always precedes the ceremony. Traditional wedding songs are sung by the Mej Koob (Wedding Representatives for both the Groom and the Bride) in almost every steps of the wedding. When an elder dies, the traditional funeral ceremony usually last at least three days to four days. Traditional Qeej Instrument and Nkauj song are constantly being played days and nights throughout the entire funeral. Traditional Txiv Xaiv songs are sing by important and respected Hmong community elders to the deceased’s sons and daughters on the third night of the funeral. Many of the Hmong Folk stories tell about an orphan who, although harassed and discriminated against by others, never gave up. In the end, he raised to become to village chief. If anyone drops the ball during a New year tossing game, he or she must give up something to the other person. In the end, they trade back their stuffs and whatever is left, he or she must sing kwv txhiaj songs to obtain the rest of his or her stuffs. During a Tshoob Zawj (Nqis Tsev Hais), traditional song zaaj tshoob must be sing in almost every steps of the wedding. Traditional Qeej Instrument song are constantly being played days and nights throughout the entire funeral.